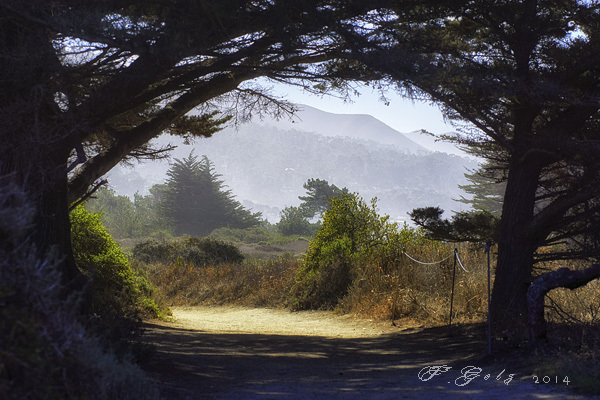 I photographed this image at the Allan Memorial Grove, Point Lobos, CA. I used the trees to frame the hiking trail. 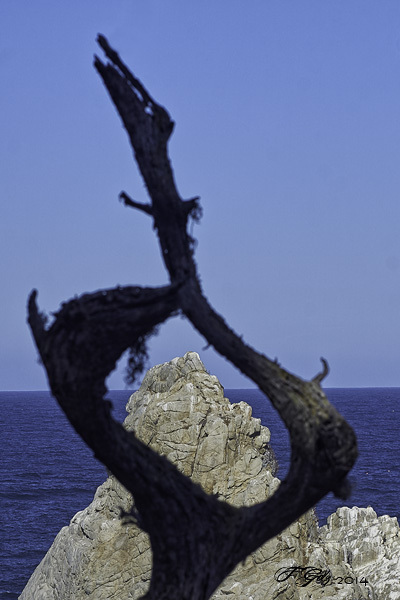 I discovered this dead tree at Point Lobos, south of Carmel, CA. It almost looks like a magnifying glass and I was might tempted to blur the outside part of the image. 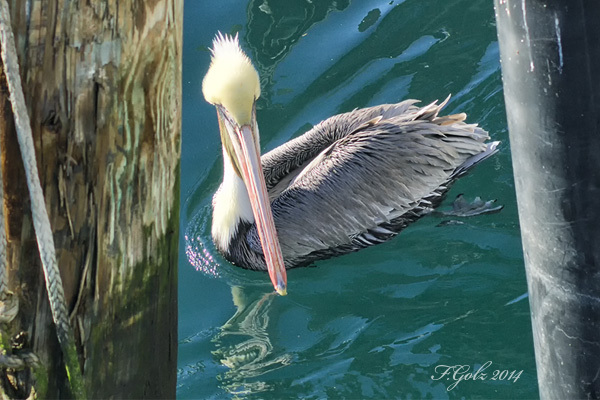 I was at the old pier in Monterey when I discovered this pelican swimming in between the posts. I pre-focused my camera and just waited for the right moment. Let us continue last weeks exercise and create some exiting images! 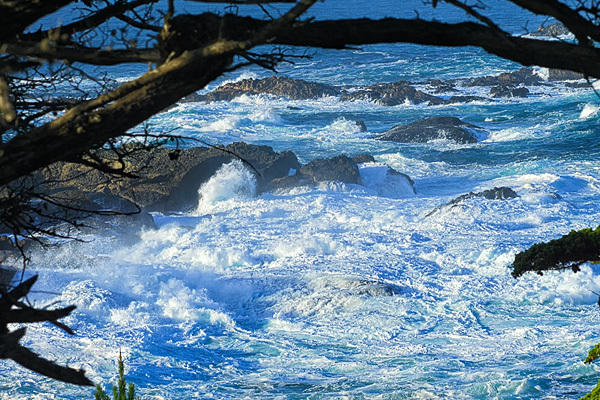 I photographed at Point Lobos (California coast) yesterday. I used the trees to frame the ocean below the cliff. 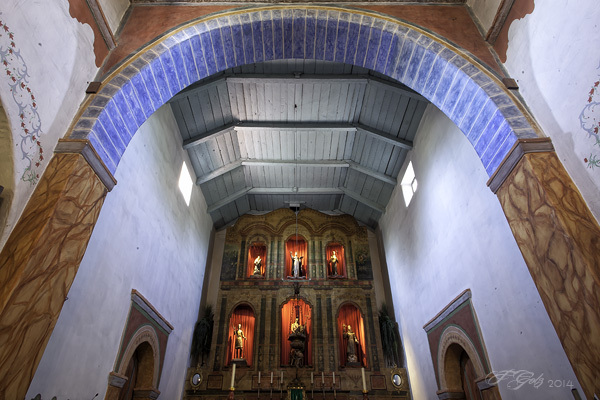 This is the sanctuary of the Mission San Juan Bautista in Central California. With the help of a super wide angle lens I used the arch to frame the altar. 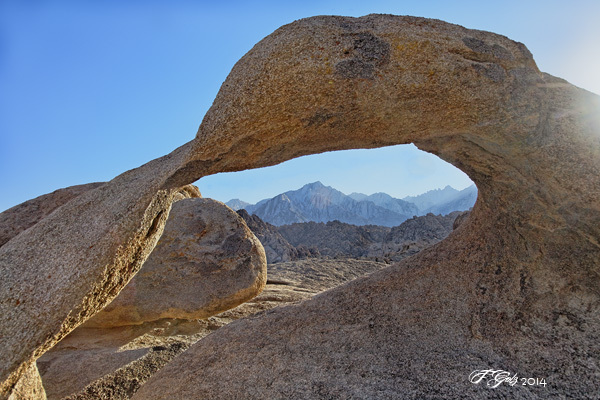 I photographed this image in the Alabama hills south of Bishop, CA. I used the arch to frame the Sierra Nevada mountains in the background. 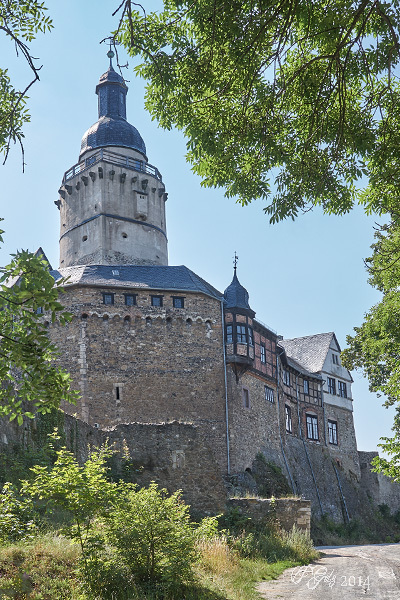 I took advantage of the tree to frame the tower of this medieval fortress which I photographed in the Harz mountains in northern Germany. Sometimes you have to step just a few steps to the left or to the right to find the right spot for an interesting composition. 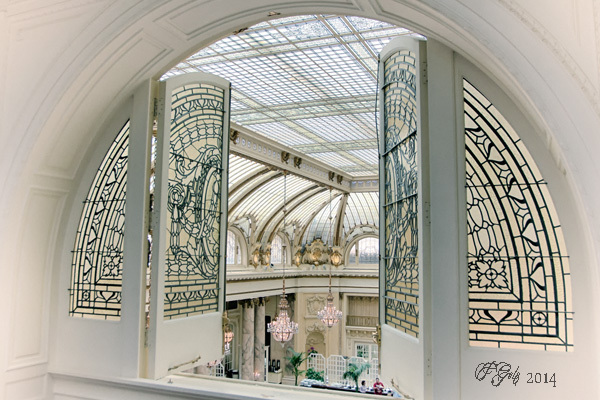 I hot this image at the Palace Hotel in San Francisco. The window makes this image inviting and interesting. 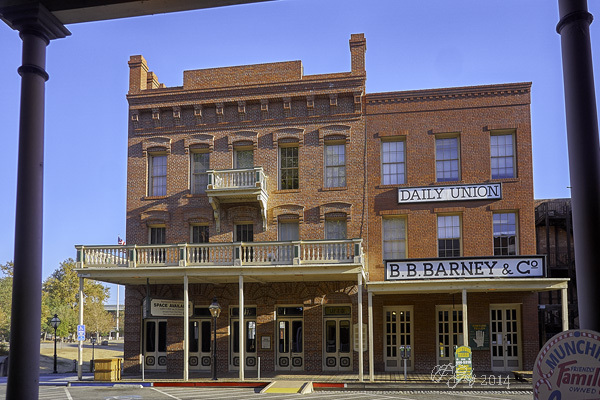 I shot this image in Old town Sacramento. I used two posts and parts of the overhanging to frame the house. Enjoy and have fun with this exercise! 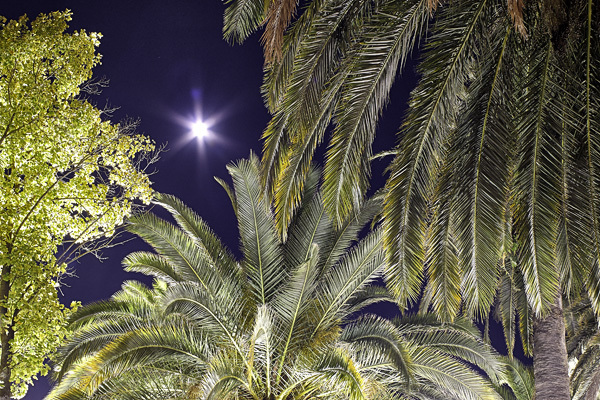 Trees can be very interesting at night. If the wind is blowing you might get some interesting motion blur. I had a pretty calm night but an incredible moon.